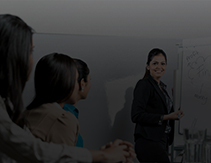 Go beyond your HR skills and become an expert in HR systems. Learn industry relevant skills like Human Resource Information management and much more. PGDITM Admission open for January to July 2019 session. Beyond the required skills set in Human Resources, the PGDITM program provides domain specific knowledge like Human Resource Information Management. The redesigned and revitalized curriculum of the PGDITM programs at AIMA provides the required balance of management and technical courses for today’s managers. Program is divided into 4 modules/six months each. Program has total 24 papers divided into 4 modules + Project Work. On the successful completion of each of the modules, a modular certificate will be awarded. Final diploma will be awarded after the completion of programme including your Project Report.